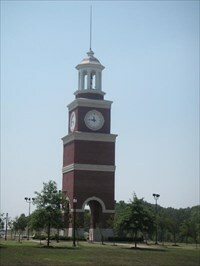 Please pray for Union University in Jackson, TN!! It was devastated by the tornadoes tonight and it just breaks my heart!! I graduated from college there and it was four years of such happiness. All of the dorms have been wiped out and the rest of the campus is very heavily damaged. As of right now, there are still some people trapped in the dorms which have collapsed on top of them, and they are sending all of the students off campus since they no longer have a place to live. Pray that everyone will be safe as more storms are headed that way tonight, and that the community would reach out to help. In 2002 while i was there, a huge tornado hit and heavily damaged the campus which was such a difficult thing to go through. I have heard that this tornado caused 10 times more damage and it’s so sad that a place i love almost no longer exists! Please pray!